KCA completed the roadway plans for a 2.5 mile section of interstate reconstruction for the northbound lanes of I-275 west of downtown Tampa. 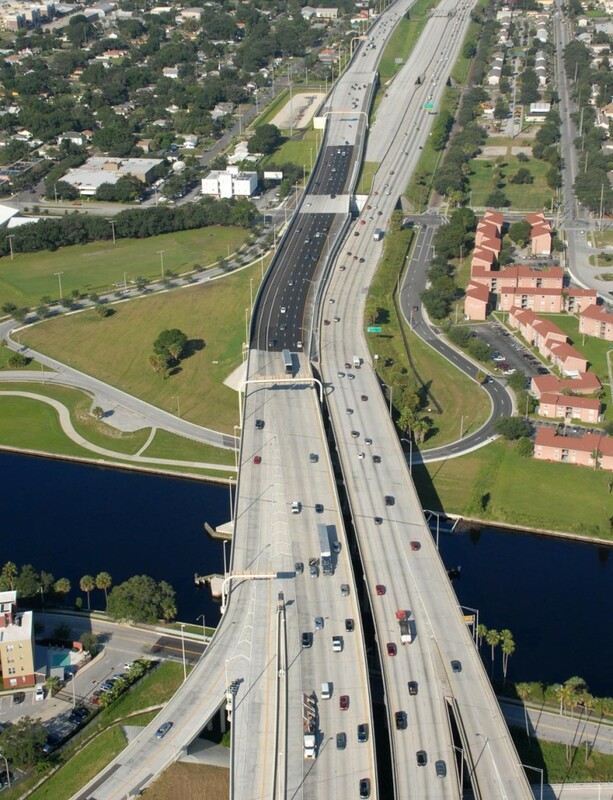 This project included reconstruction of 2.5 miles of the northbound lanes of I-275 to a four-lane section with interchanges, retaining walls, noise walls, and architectural features. An ultimate section was developed to 60% plans for future express lanes in the median. Improvements were designed to allow for the construction of the northbound collector distributor lanes outside the existing interstate footprint while maintaining traffic on the existing lanes.